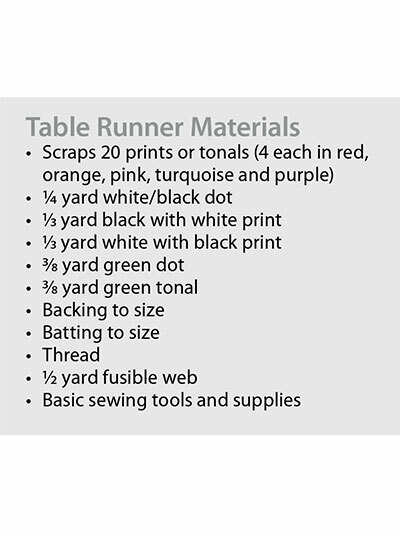 Bring in spring with this runner! 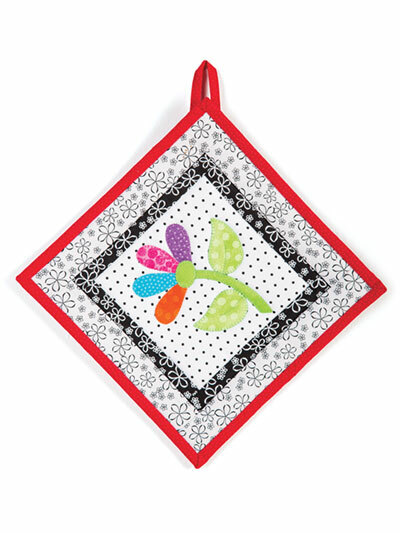 This table runner features a row of appliqued flowers bordered with colorful patchwork. 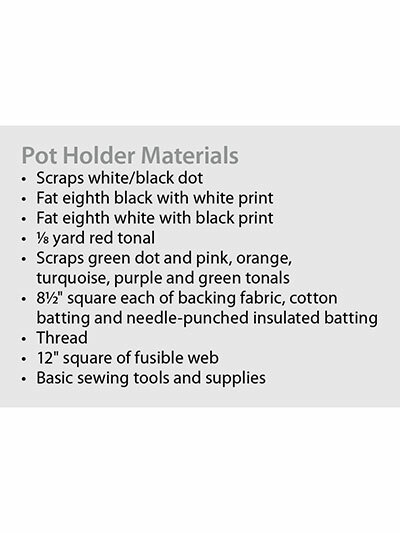 The coordinating pot holder has a single appliqued flower. Finished size is 50 1/2" x 14 1/2".